It was in the 1940's when two brothers, the Late Shri C.L. Malik and his younger brother, the Late Shri P.L. 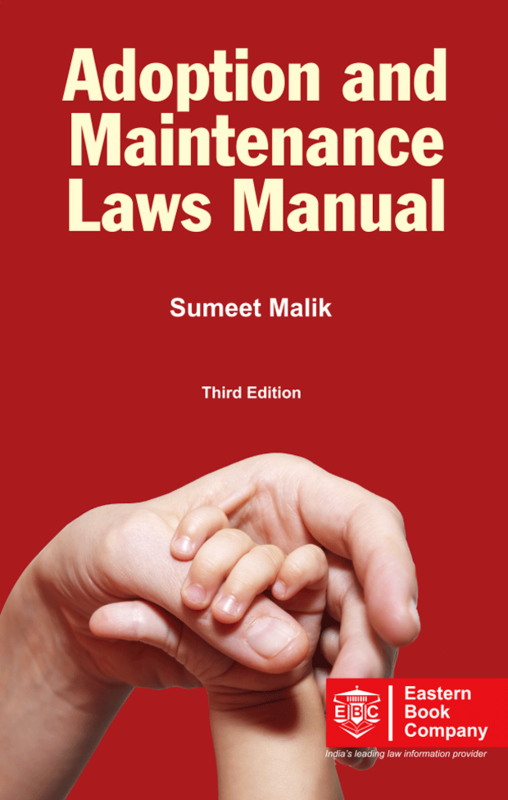 Malik, decided to settle in Lucknow and embark upon a career in law bookselling and publishing. The two together laid the foundations of what today has grown into a group of companies under the banner of Eastern Book Company - a group recognized and respected for its contribution to legal literature worldwide. The foundations for intellectual striving and excellence at EBC were laid down at its very inception by the founders, who emphasised uncompromising intellectual rigour, painstaking attention to detail, meticulous referencing and research to ensure authenticity and reliability in every publication that they brought out. 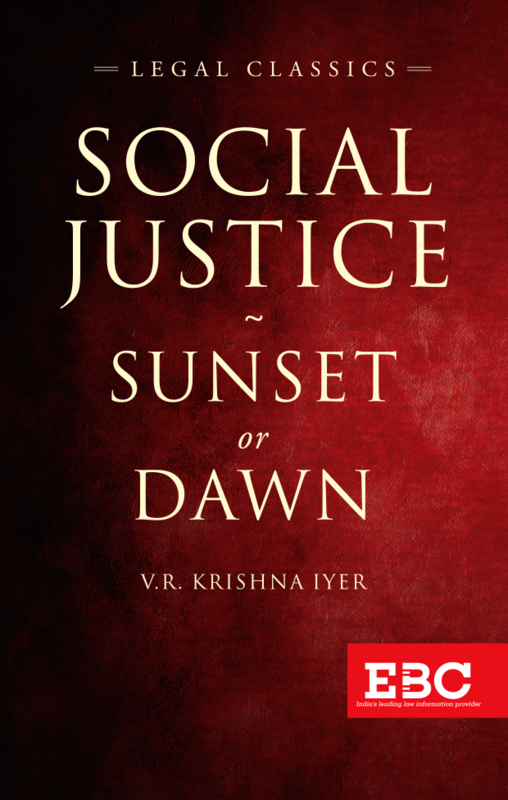 In doing so, the Founders actualised their vision and foresight in understanding the integral and vital sustaining role that quality law publishing can play in a legal system, especially a legal system where judge-made law and executive-made rules, regulations, notifications, etc are the flesh and blood that clothe the bare bones of constitutional and statutory law. Hence the need for access to the complete integrated law with ease and certainty, with the further sound assurance that it will be accurate and authentic, makes quality law publishing such a vital and integral part of the legal system itself. This is the challenging task which EBC has been engaged in for more than 65 years. 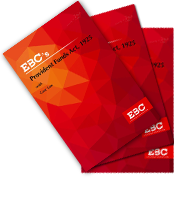 The legal information created by EBC, whether in the print or the electronic medium, when published is not only correct and elegantly presented in all respects but is also up-to-date in terms of the latest amendments and rulings of the various courts. EBC has done pioneering work, by creating a complete index/digest of the case law of the Indian Supreme Court from its inception in 1950 till date. This has appeared in the print medium and more recently, in a revolutionary form, in the electronic medium, as SCC Online'sSupreme Court Case Finder. 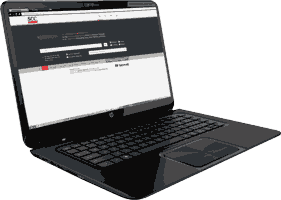 This Information Database and search program is a proven source for quick and intelligent retrieval of case-law precedents of the Supreme Court of India. 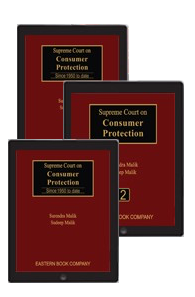 The full text of the judgements of the Supreme Court of India since 1950 are also available in the electronic version though SCC Online's Full Text product. The webbased versions of these products have also been made available since 2009. Managed today by the family's second and third generation, a team of professionals from the top business and law schools from across the world, EBC publishes a wide range of legal commentaries, student texts, law reports and digests, and its products include pioneering works both in the print and electronic medium. 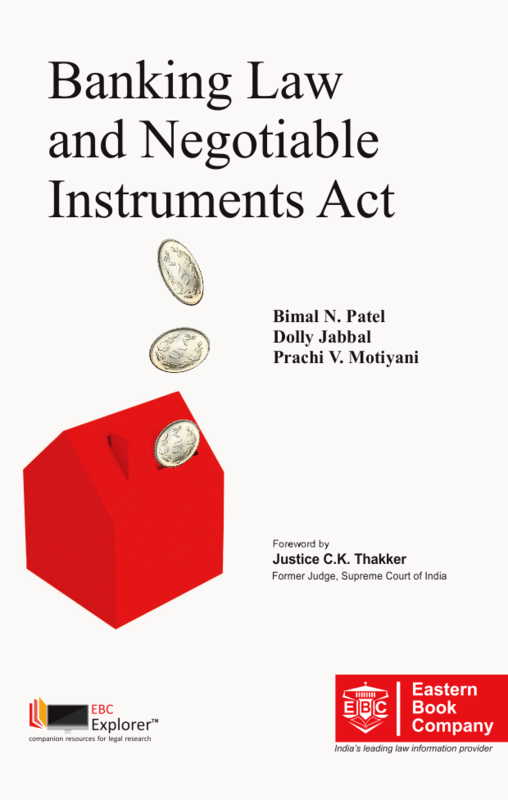 With a current list of over 500 authoritative and well known titles, it has the largest range of law publications in India. Enterprise and innovation imbue each new publication. 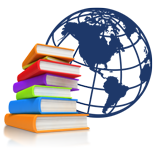 Eastern Book Company is a hallmark for quality and reasonable price. 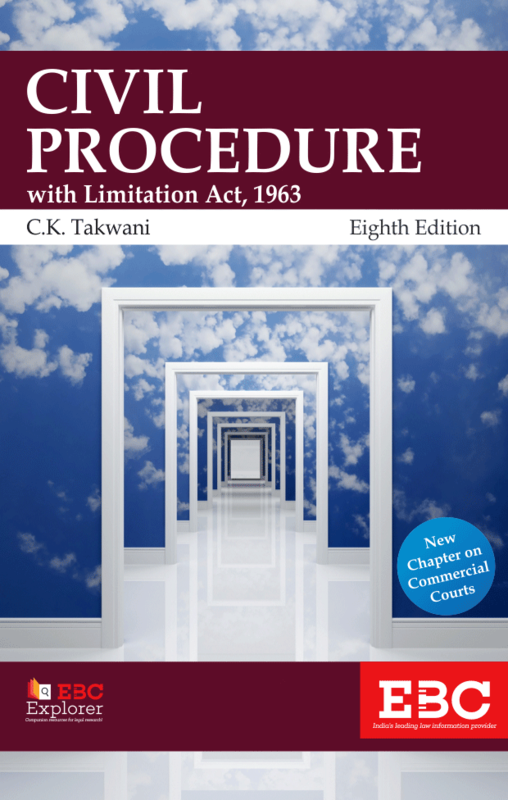 Not only was perfection desirable in itself but what was keenly felt was a desire to give the legal fraternity works of the highest standard possible. 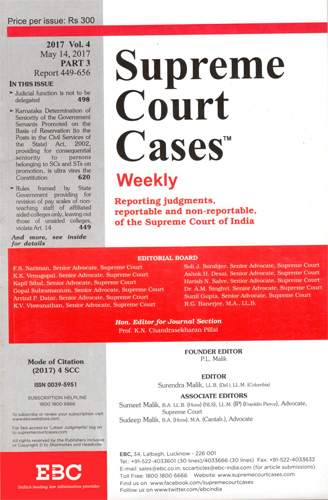 Reliable and comprehensive law reporting of the Supreme Court of India has been achieved through EBC's weekly law report since 1969, theSupreme Court Cases. 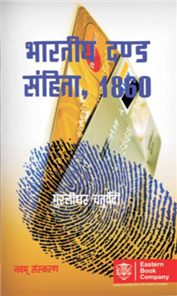 Now running into more than 280 volumes, it is the leading law report of India with a very wide circulation and readership. 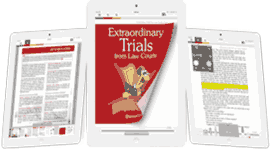 Its high quality and meticulous standards have earned for it the respect and admiration of the entire legal community, and it is today the most preferred and cited law report in all law courts. 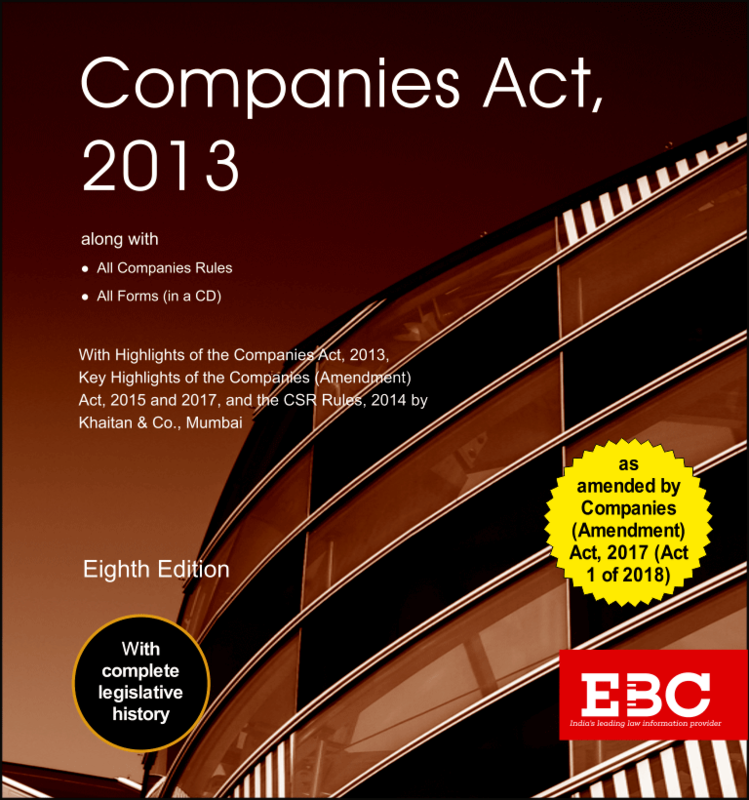 Additionally EBC publishes law journals for statutory law. 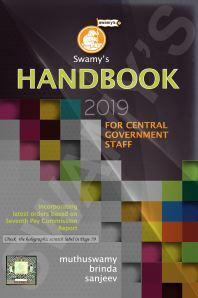 The 'Current Central Legislation' contains central statutory law, while 'Lucknow Law Times' in addition to the central statutory law also contains the statutory law of the State of Uttar Pradesh. 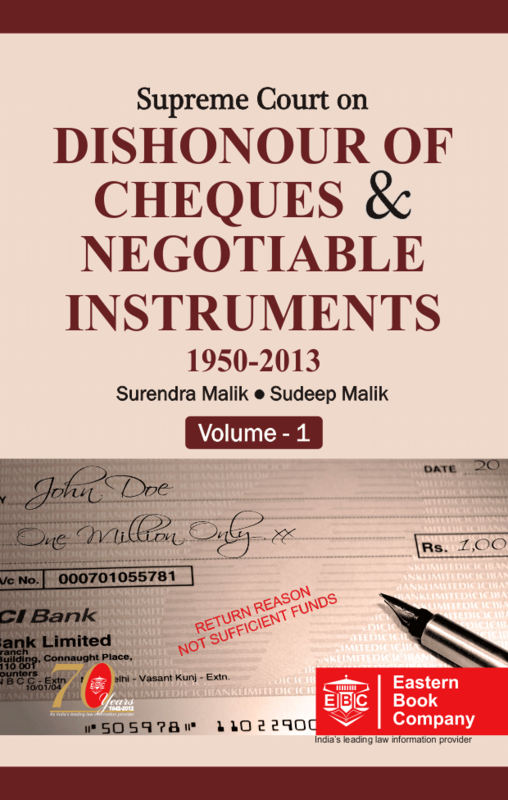 An academic journal published by EBC, 'The Edict', is a quarterly law journal publishing articles contributed by academics and law students from the reputed law schools of India. 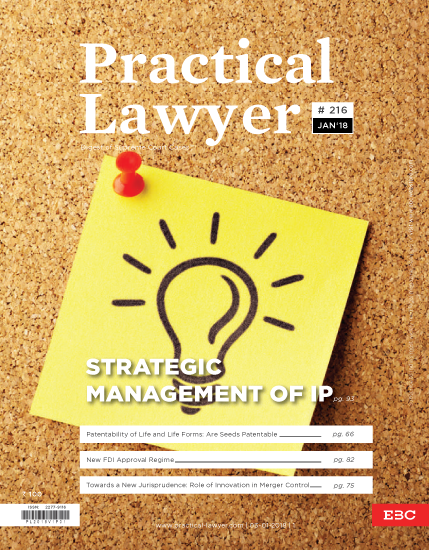 To publish legal articles of the highest standard in the The Edict National Law Review has been conceived and the maiden issue of this periodical is due to release in 2009. 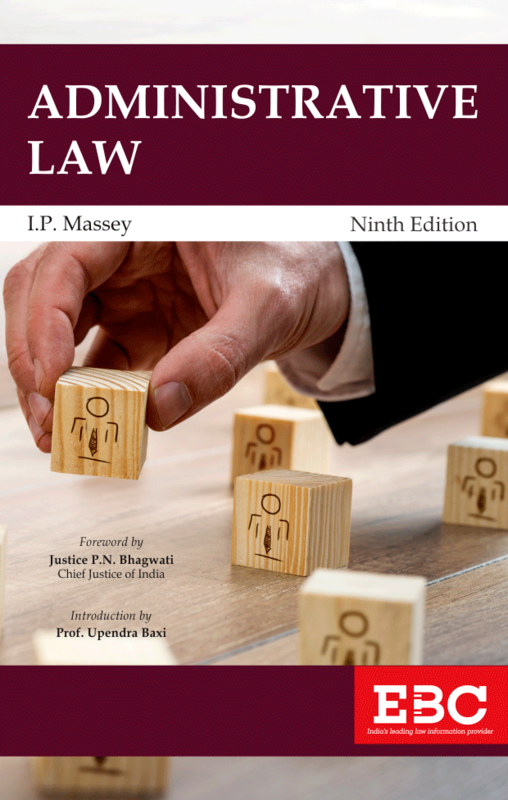 A house journal, 'The Practical Lawyer', provides latest information about the happenings in the legal world to its readers alongwith a monthly digest of the case-law of the Supreme Court of India. Keeping pace with technology and looking to the group's growing export market, a website www.ebc-india.com now provides detailed information about Eastern Book Company's wide range of publications, and also the electronic version of its periodical, the 'Practical Lawyer'.. Books can be ordered and purchased by Indian and foreign customers at Indian Rupee prices through EBC's webstore: www.ebcwebstore.com. 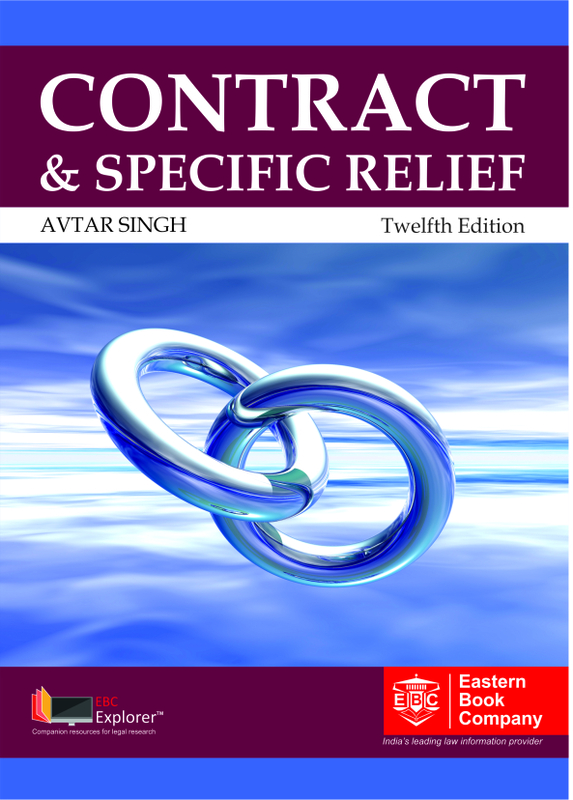 The webstore lists not only the publications of the Eastern Book Company group but a wide and carefully selected range of law books published by various Indian law publishers. 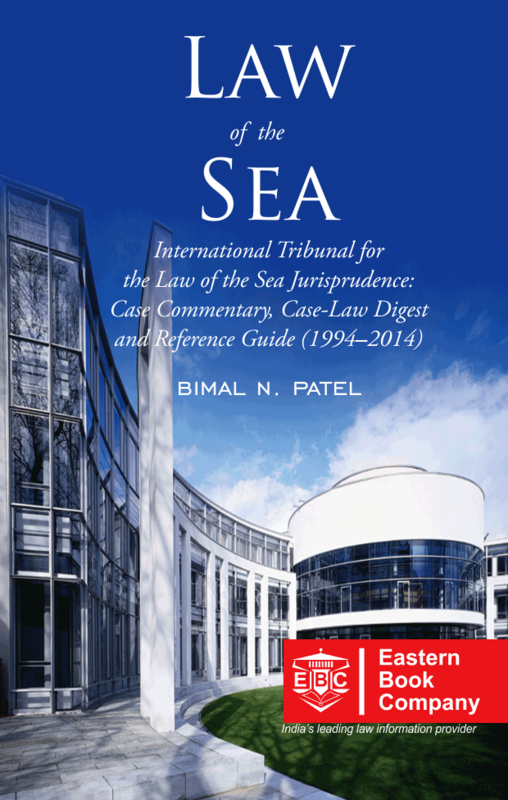 It thus serves as a one-stop reliable and value based source for Indian law books. 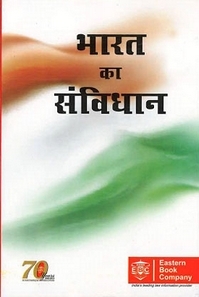 Eastern Book Company is also reprinting low cost editions for India and several other countries. 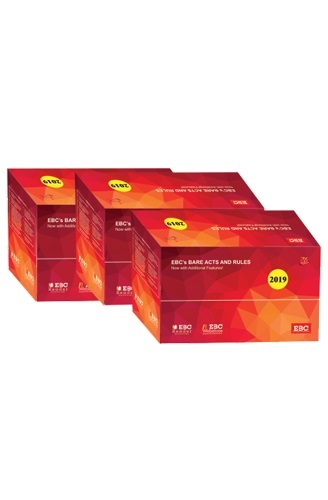 Since 2007, the well known official law reports of England, namely, 'The Weekly Law Reports', and 'The Law Reports' as published by the Incorporated Council of Law Reporting (ICLR) of England are also simultaneously being printed and marketed by EBC. From 2008, the electronic version of these reports has also been made available on the SCCOnline platform. The head office of the group is housed in an impressive building in Lalbagh, Lucknow, and it now has branch offices in several Indian cities - New Delhi and Delhi, Bangalore, Mumbai and Allahabad. It has a highly professionalised set up with dedicated staff to run its various operations.